The Wedding Chapel at ARIA is the epitome of refined beauty combining sleek modern lines with soft, lavish décor for a look and feel that is as sophisticated as it is inviting. 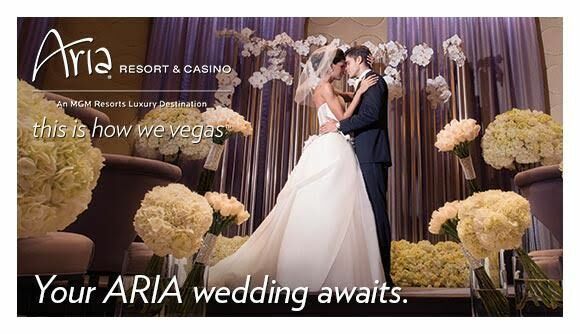 Because there is only one wedding chapel at ARIA, you have the benefit of a completely exclusive space. The Wedding Chapel can seat up to 60 guests and our ceremonies can be held at 10am, 12pm, 2pm, or 4pm. We can also hold ceremonies at 6pm and 8pm for a minimal fee. If a chapel setting is not what you’re envisioning we do have several exclusive locations to suit your needs. As a recipient of the highly coveted Forbes’ Five Star and Five Diamond Awards, ARIA Resort & Casino provides a spectacular, one-of-a-kind backdrop for your special day where you can expect the ultimate in contemporary luxury and unparalleled service.